Make it a great weekend Agents and don’t forget to get your submissions in for our 10k Realtor Contest!!! If you’re like MOST agents? You want it NOW. Right now. Success in a “just add water” -instant gratification in a cup kind of time frame right? And I can appreciate that. If I could just win the lottery I’d be that way too – one ticket – lifetime of riches. Unfortunately – that’s not a very realistic (or practical) plan is it? You’ve got to put the time in and PERSEVERE. You’ve got to show up not just ONCE, but again and again and again. You know that old saying out of sight – out of mind? It’s especially true of customer relationships in today’s market. In fact, Statistics tell us it takes at LEAST three impressions for a consumer to recognize your name, seven to associate your name with your business, and twenty seven for them to like you, know you, trust you enough to do business with them. I know – it’s not instant gratification – but it is the smart business practice if you want to be in real estate for the long haul. So, let’s take a look at three smart strategies that can make succeeding faster (YES! ), easier (Phew!) and more effective (Sounds good!). 1. Make it easy on yourself. Delegate. You get paid to get face-to-face and voice–to-voice with customers. Your job is to wow them with what you can do for them – how you can make that easier, more profitable & fewer headaches. Hard to do that when you’re still printing, cutting & stuffing envelopes. Put a system in place to reach your customers and potential customers (sphere of influence and geographic farm area) at the very least every 4-6 weeks. The Direct Marketing Association and top agents lean more towards every 21-30 days. It doesn’t have to be a lot – but it does have to be consistent. We’ve worked hard to make that easy for you with hundreds and hundreds of ready-to-go campaigns that you can choose, calendar and then have peace of mind that this part of the puzzle is done – find out more here: Postcard Campaign Specials. “I’d like to say to start with Facebook, but don’t. Start by spending a few hours figuring out who you are likely to be most successful with. What kind of people do you want to connect with? Forget your real estate business for a minute and think about them. What do they like? What are they interested in? What will keep them coming back? 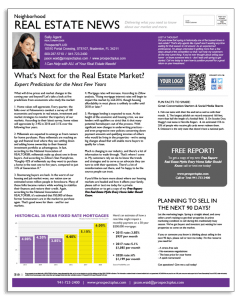 Now, bring your real estate business back into the equation. How can you match their interests with your business? Laser focus on that core audience and build all of your marketing around them, both online and off.Say you want to attract successful 50-60 something’s. The might be interested in food and wine, they might like to travel, they’re concerned about their nest egg, they may have adult children and possibly grandchildren. Oh yeah, and they buy real estate. You’re not limiting yourself to seniors, you’ll get first time home buyers because young people ask their parents for advice, you’ll attract other foodies who like to travel, and other people with similar interests. You’re just focusing on where you are most likely to be successful. If you’re a younger hipper type, target people like you – post about all the other things that interest you, plus a 1/3 about real estate topics that related to your core audience.” — All great advice thank you Stacy! 3. Network. With the shifts in the economy & market – now is the perfect time to connect with smart, like-minded area business professionals and share ideas, strategies and – SPHERES. 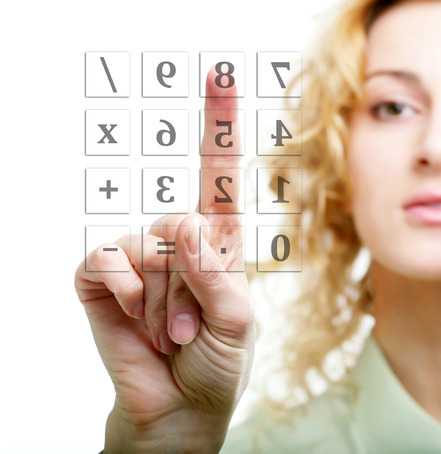 Area CPAs can send you clients who are looking for good investments. Attorneys handling divorce, estates and real estate holdings can send you buyers, sellers and leads. Human Resource managers can use your expertise to help their employees find homes and put down roots in a community. In return – you have the ability to send your clients their way as well. Great for you – great for your networking partners and great for the customers. In times like these – people NEED referrals they can trust. It makes them feel safe, cared for and re-affirms that they are making sound decisions for themselves and their families. THAT is the kind of thing that cements relationships and creates a client for life. Some things to think about for this week. Put the 3-7-27 rule of marketing to work in your business. And know that if you need some help showing up – OVER and OVER – cost-effectively, easily and without stress, our team is there for you. 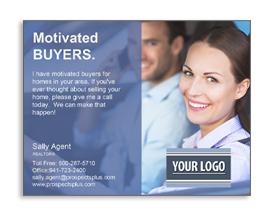 Visit us online at www.prospectsplus.com, or call us at 866.405.3638 today. We’ve got you covered!